Bad breath can also be made worse by the types of foods you eat and other unhealthy lifestyle habits. Basically, all the food eaten begins to be broken down in your mouth. If you eat foods with strong odors (such as garlic or onions), brushing and flossing -- even mouthwash -- merely covers up the odor temporarily. The odor will not go away completely until the foods have passed through your body. If you’ve ever worried about how your breath smells, you’re not alone. 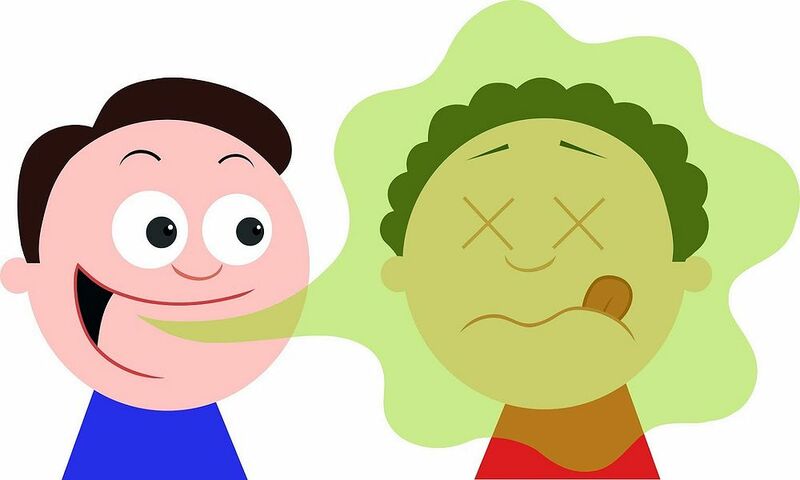 Studies show that 50 percent of adults have had bad breath (also called halitosis) at some point in their lives. Find out what causes bad breath, how to fight it and when it might be a symptom of a more serious health problem.